Parents are invited in to enjoy a tour of the Nursery before spaces are offered. Please call 0208 7044 857 (Keswick House Nursery) and 0208 8770 823 (Wandsworth Nursery) to arrange a Nursery tour. Once a parent registers their interest in the school, a guaranteed place at The Roche Nursery School will be offered by sending the parent an application form. The registration fee is £75 (£20 for siblings). Upon receipt of the signed application form you will receive written confirmation of your Nursery space. A non–returnable deposit is requested two terms before the child is due to join the Nursery School. The current deposit is £1950. This deposit will be used in part payment of the curricular fees for the child’s final term at The Roche Nursery School, provided the school office has received on or before the first day of the school term written notice of the intention to remove the child from the school, failing which the term’s full fees are payable. Parents are also asked to provide the school with any further information which they feel will enable us to take the best care of their children. 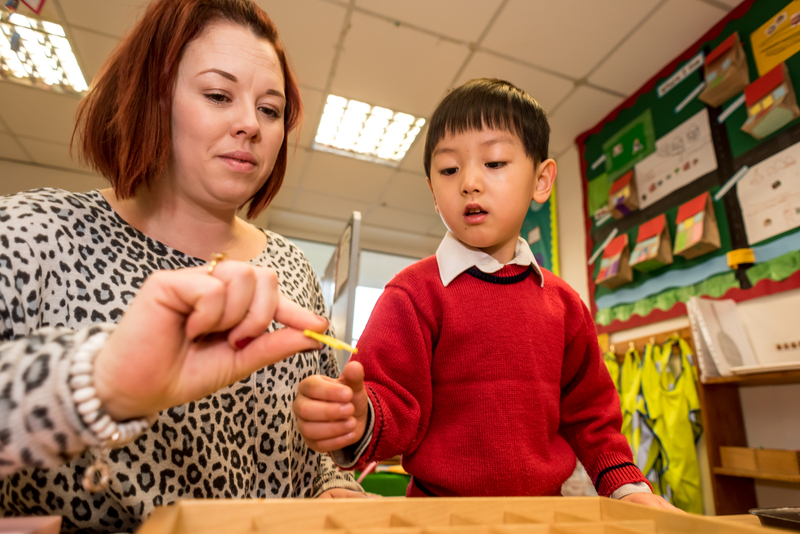 As part of the school’s start pack parents are asked to fill in further forms which provides relevant information so that the staff fully understand the child’s needs prior to starting Nursery. As pupil numbers are strictly regulated so as to maintain the correct quota, a waiting list is drawn up once confirmed places have been allocated. Parents whose children are on the waiting list are encouraged to call the school office to receive an update although we will contact you as soon as a potential place becomes available.